When we heard that KEEN’s new hiking boot was being named after two famous mountains in Germany, we started to take notice. The two peaks – the highest mountain in the Black Forest and a popular urban climb on the outskirts of Frankfurt – give a clue as to what the Feldberg is all about: grappling rugged peaks in the wilds and treading asphalt on the high street. 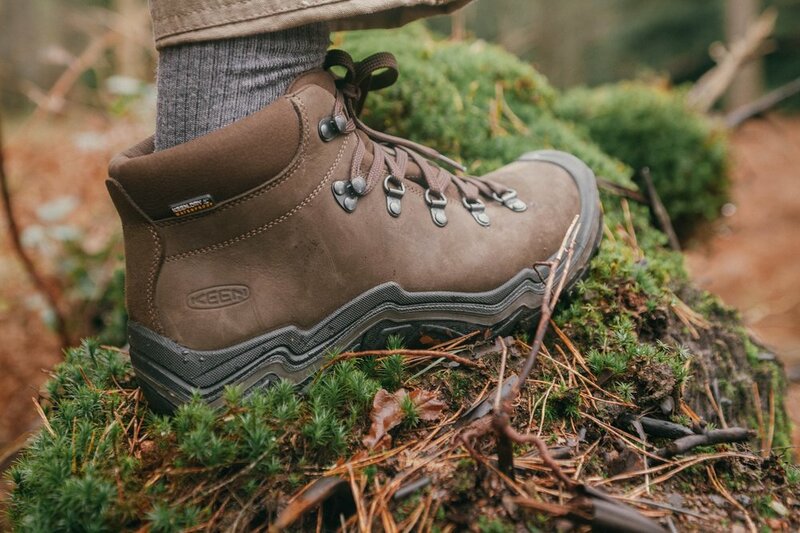 The Feldberg Mid WP (£140) is essentially a hybrid hiker – a versatile, European-made book that epitomises the duality of our outdoor lifestyles. Since their inception in Portland 2003, KEEN have focused on crafting innovative, hybrid outdoor footwear – boots, shoes and sandals that perform just well in the asphalt jungle as they do on hill treks. The Feldberg is positioned firmly in this compelling ‘hybrid’ space. It is for those of us who embrace curious and adventurous lifestyles – who invite exploration into our everyday lives, see just as much potential in an urban ramble on the streets of Manchester as an overnight camp in the Peak District, and who like to stay curious about the discoveries on our doorsteps. 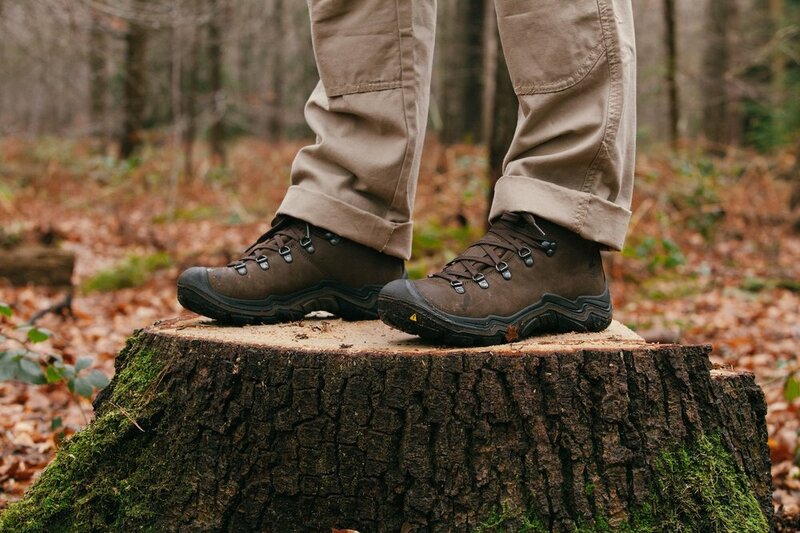 If you’re after a durable, versatile hiking boot, this is definitely one to look out for this autumn! Follow KEEN's Feldberg adventures using hashtag #feldbergiswhereyoustand. 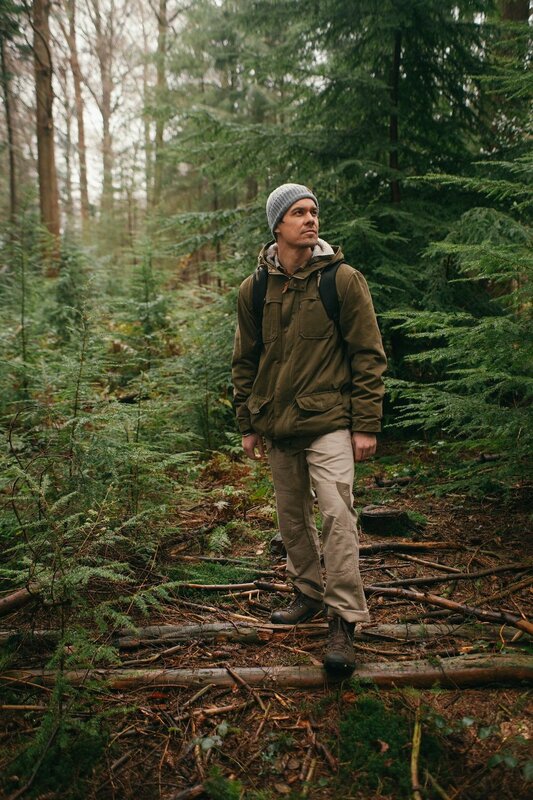 We’re partnering with KEEN in issue five and six of Ernest Journal. Meet Laura Kennington – everyday adventurer, kayaker, sea swimmer and circumnavigator of islands – and hear about her journeys with the UNEEK sandal in issue five (Aug 2016). Delve into the stories behind the Feldberg in issue six (Jan 2017), and keep an eye out for more stories and a chance to win hybrid kit on the Ernest blog throughout autumn and winter. Feldberg Mid WP, £140, keenfootwear.com. Read more about the KEEN story in the Ernest Journal directory. The Loake family have been making shoes in Northamptonshire – the historic centre of British shoemaking – for five generations. It all began in 1880, with three brothers working in a shoe factory in Kettering. They each worked in different departments and they soon realised that, between them, they had all the necessary skills to make shoes themselves. It was a brave step, leaving the security of their jobs to set up a business of their own. The Loake brothers became one of the finest producers of Goodyear welted footwear – the most labour intensive and durable method of shoe construction. Fast forward 135 years and Loake are still making shoes the same way – it’s believed they’ve produced more than 50 million pairs since they first began manufacturing. Some 130 skilled shoemakers, up to 75 shoes parts and 200 different operations are involved in making a pair today. A Goodyear welt is essentially a strip of leather stitched along the perimeter of the shoe’s outsole, connecting it to the upper. The most well-known Goodyear welted style that Loake make is the brogue – a timeless classic no English gentleman’s wardrobe would be complete without. One of the benefits of the Goodyear welt is that the shoes can easily be resoled, something Loake take huge pride in. Their repair service covers re-soling on the original last with new soles and heels, fitting new seat socks and re-finishing the upper part of the shoes. A pair of Loake shoes can really last a lifetime – looking as good as new after a repair service, but still as comfortable as ‘old friends’. Despite their heritage and traditional craftsmanship, Loake believe they are very much a forward-thinking company, with their range of footwear including alternative constructions and classic and contemporary styles. Their aim is to maintain a balance between traditional and contemporary design, thereby introducing new generations of wearers to the benefits of fine, handmade shoes. This blog post was created in collaboration with Loake. Read more about the historic brand in the Ernest directory. Tell me more about Risdon & Risdon. Carla: We are two generations bringing together our creative strengths and ideas. My youngest son Alex is the leather worker with a natural talent for working raw materials into beautiful pieces. 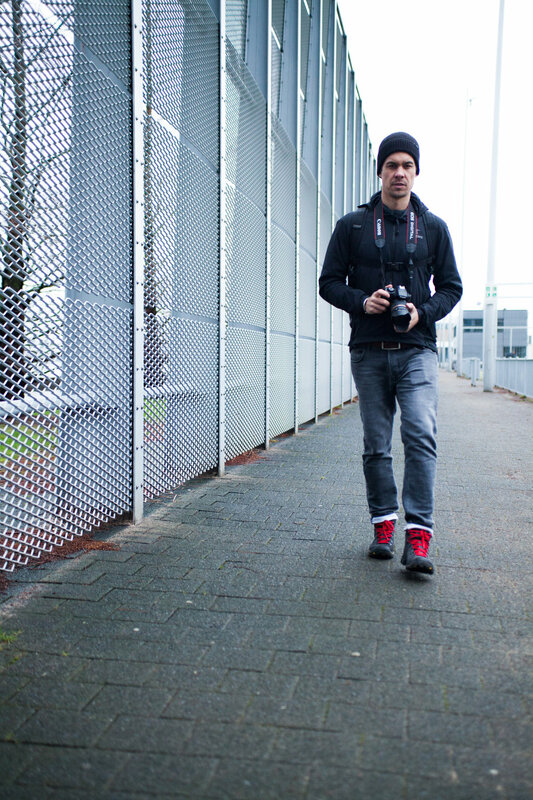 James, my eldest, is behind our branding, web design and is a part-time photographer. I have a background in textiles, sewing and making – mixed with a passion for traditional craftsmanship but a love of modern design. We're based in Shropshire - a county filled with artisans, makers and independent food producers. We realised there wasn't an alternative to the mass-produced aprons out there, and that these days people are seeking out the well-made, the handcrafted and the unique. So we set about making a range of aprons that complemented the very high standards these people are working to. What's so special about your aprons? 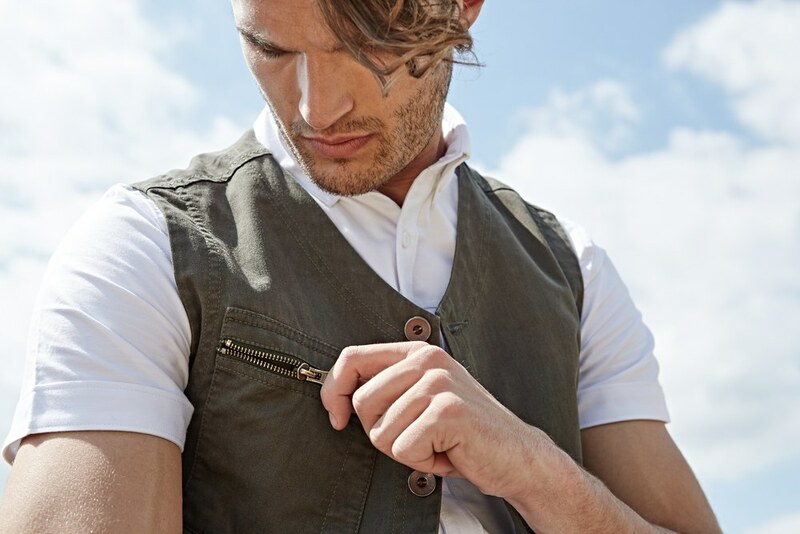 Carla: Each piece we design is constructed and refined to be functional, durable and easy to wear. Our aprons – made with sturdy cotton canvas and classic denim – are fastened with adjustable leather straps that can be removed for washing. The quality of the fabric, beauty of the leather and finish of the buckles, studs and clips are all of the highest of standard. 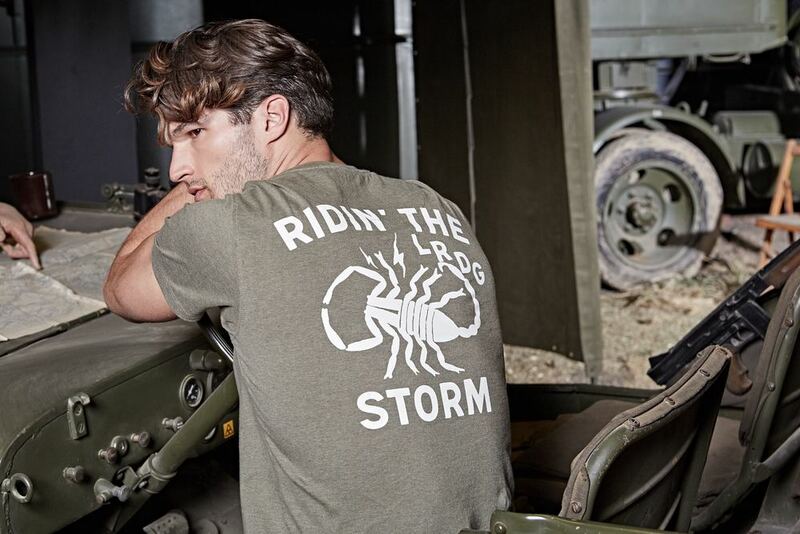 The making process starts with an intense wash to give the fabric a worn in feel and finishes with our hand stamped tags - everything is thought through. 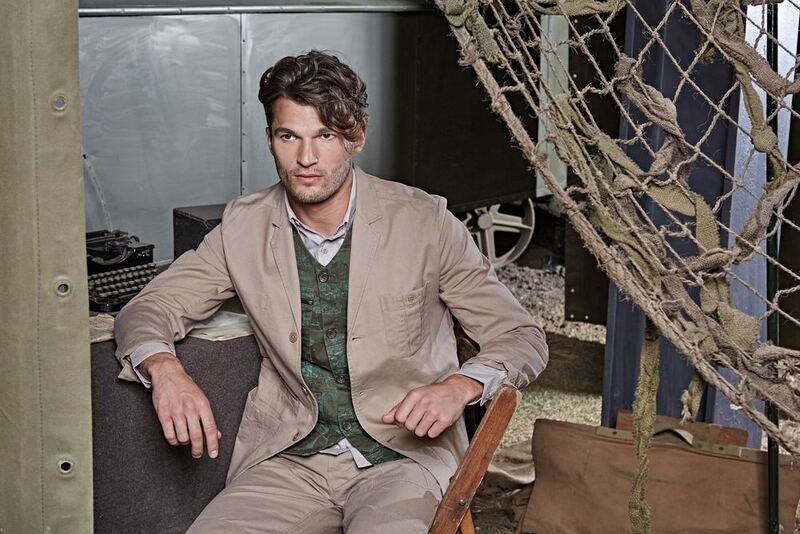 James: The business is really in its infancy – we have plans to design a broad range of workwear. Different trades and crafts have different requirements when it comes to what they need from an apron. It's also about giving people choice - we can provide an amazing canvas or denim apron with beautiful leather straps but you can also have it in a choice of colours. Our Original aprons come in three different lengths and if you want to make more of a statement you can choose to have red leather straps. Alex: Owning a Risdon & Risdon apron is having an heirloom piece that becomes part of your tool kit. People have told us how much they love wearing their apron - they put them on and the robust feel of the fabric, the smell of the leather straps and the comfortable fit immediately sets them up for the task ahead. So, who buys your aprons? Carla: We don't have a typical customer, just people with a discerning eye for quality and style. We've sold to people of all ages for a variety of uses - design students, event organisers, cooks, gardeners, baristas and barbers. It's great to know that something we have designed and made is making a difference to how other people go about their own trade or passion. How've you found the journey so far? Alex: It has been a long process to get us to where we are now. Finding the right suppliers for everything we were looking for took longer than we had anticipated – there are a lot of cheap imports and a lack of choice with so much manufacturing being done overseas now. We want to represent good British tradition and workmanship. We always want to make sure the apron is up to the job. Our Original apron has evolved from what we created originally – it now has reinforced corners for extra strength where the leather straps are attached, the lap pockets are slanted at the top making it easier to quickly reach for what you need, the leather we now use is softer and more comfortable. Carla, what's it like to working with both of your sons? Carla: It's great – I love the energy they bring to everything and how they always manage to keep things current. I've learned to trust their judgement on whether something works or not, and likewise they know from me when things need to be to a certain standard. Alex works intuitively and comes up with great concepts. James did Graphic Design at Brighton and he's good at quickly translating ideas into images – he did all our branding and I like his eye for composition in his photography. I know that I can rely on their strengths, but also that each of our ideas will complement each other's. They're also hilarious to work with! What's the future for Risdon & Risdon? We're all really excited about the future. The more we make things for people, the more they come back to us with fresh ideas of other things they would like - a chef's apron with a special pocket for their tasting spoon, a knife roll to match their apron, a cool leather tool belt for barber's combs and scissors, bags for cyclists – these are all new lines on their way. This is a sponsored blog post, created in collaboration with Risdon & Risdon. Read more about Risdon & Risdon in the Ernest Journal directory. We chat to the creative minds behind contemporary men's footwear label ohw? about why they have put style, function and, above all, traceability at the heart of their brand. ohw? is the shared vision of two experienced footwear professionals who aim to bring a fresh approach to men's footwear with stylish and functional designs manufactured in their own factory in China. Unlike many companies that source their footwear from outside suppliers, ohw? have full control over how their shoes made and are immensely proud of the standard of their manufacturing and attention to detail. 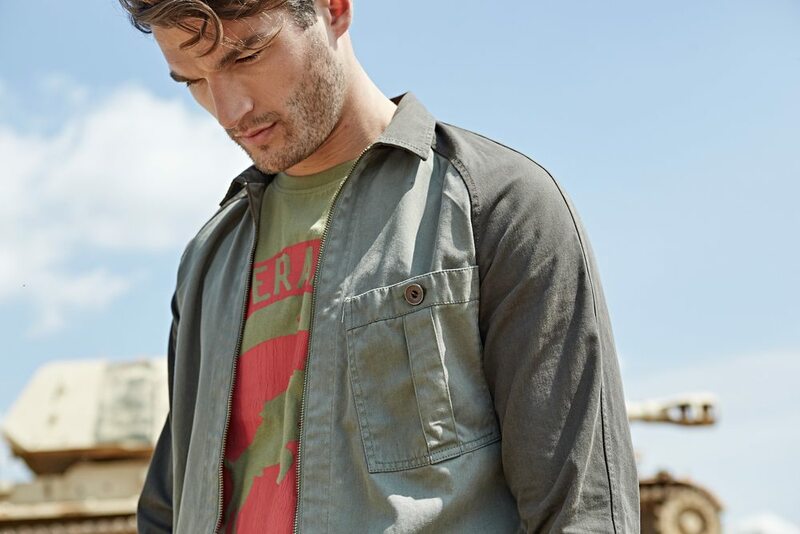 "Authenticity is at the heart of our brand," explains co-founder Stephen Gill. 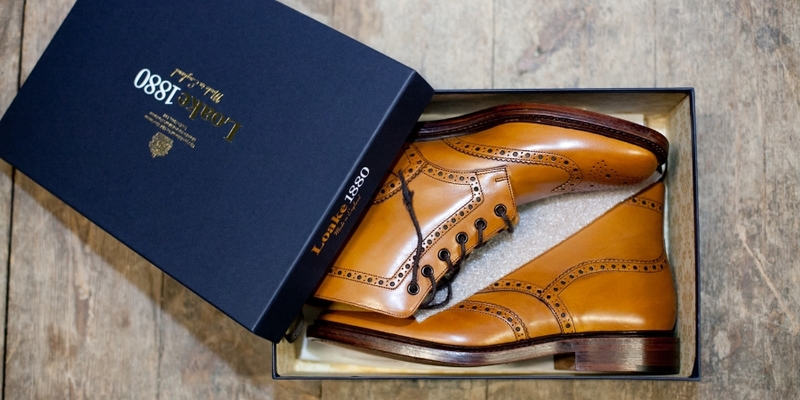 "We believe our customers should know the provenance of the shoes they buy. From having our own factory to handpicking the people we work with, everything we do is a reflection of who we are. This is the reason we chose the name ohw? (who? reversed), which indicates that everything we do can be traced backwards. Each pair of ohw? shoes is even individually hand-signed by the person in our factory doing the final quality check." Ohw? 's designs, while trend-led, are kept deliberately simple to showcase traditional shoemaking skills such as hand-stitching and size markers along the cut edges of the upper materials (the traditional way that shoemakers indicate the sizes of cut pieces). They use only the best leathers and combine these with advanced materials, such as hypoallergenic Ariaprene and combination rubber/phylon soles (more usually found in the midsole of sports shoes) for optimum performance and fit. Loving the tan leather body and suede laces. Reminds us of a traditional workman’s boot but with a contemporary twist in the stark white heels. This smart, classic, understated ankle boot has a cheeky splash of turquoise suede. Yep, we’re sold. Something about these reminds us of Marty McFly’s boots and 'power laces' in Back to the Future II. That’s enough to get a thumbs up from us.